Toronto-Dominion Centre has a thriving life to it past the real-estate and leasing portion of the business. Below the towers lives a variety of business and services, all connected through Toronto's PATH system. One of the great features of Toronto-Dominion Centre is its foodhall, and the variety of culinary delights it offers. For 2013, the ask from the property managers, was to create a contest that would both promote the offerings and engage the clientele who visit here every morning, noon and evening for sustenance. 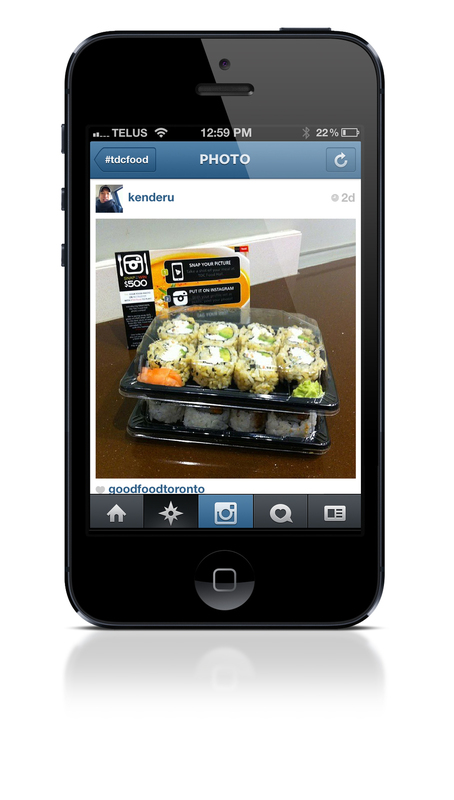 Utilizing social-media, the concept was an Instagram contest that created the opportunity for people to play for daily prizing, by simply ordering from their favourite restaurant and snap/tag a shot of their food. From concept, to identity creation, production of tent cards, posters, e-blasts and elevator screen display, I produced this campaign, leading the team through to its success. The campaign was recently honoured by the 2014 Astrid Awards, the International Competition for Outstanding Achievement in Design Communications with a Silver Award. The basis of this was simple; utilize a social behaviour people were already engaged in, to keep the action required simple. There was no ballot to fill out, no business card to have to remember and drop in a box - a simple shot of their lunch and tag of the area - and they were entered. Within the first week, over 120 shots were taken of breakfast, lunch and snacks. 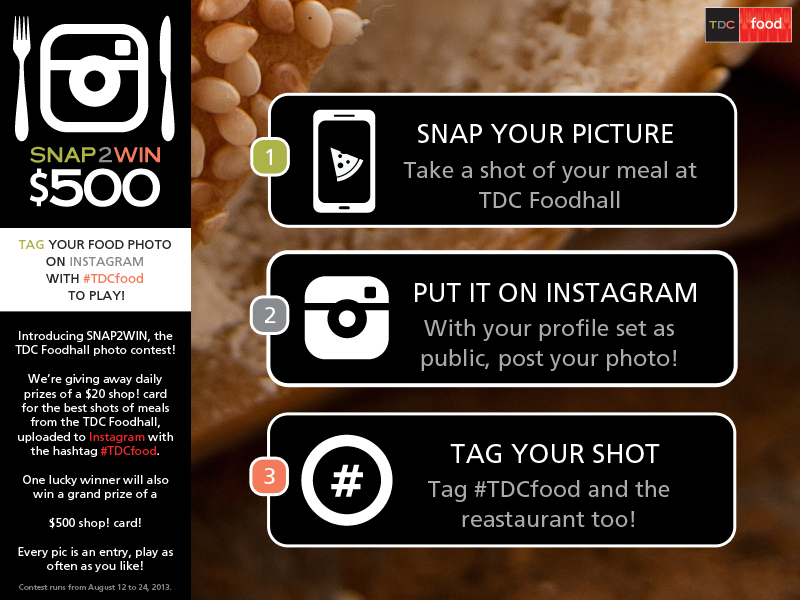 This contest expanded the social reach of TDC foodhall by utilizing the conversational aspects of the Instagram platform, and brought people into the contest who may have been unaware of the services by any other method. The promotional piece was produced in a series of tent cards that lived on each table, as well as badging on the existing tdcentre.com website and through a series of e-blasts. This promotion remains as a massive success, engaging a wide range of people, both business and public, and is a testament to the nimble nature of the marketing aspects of Toronto-Dominion Centre.